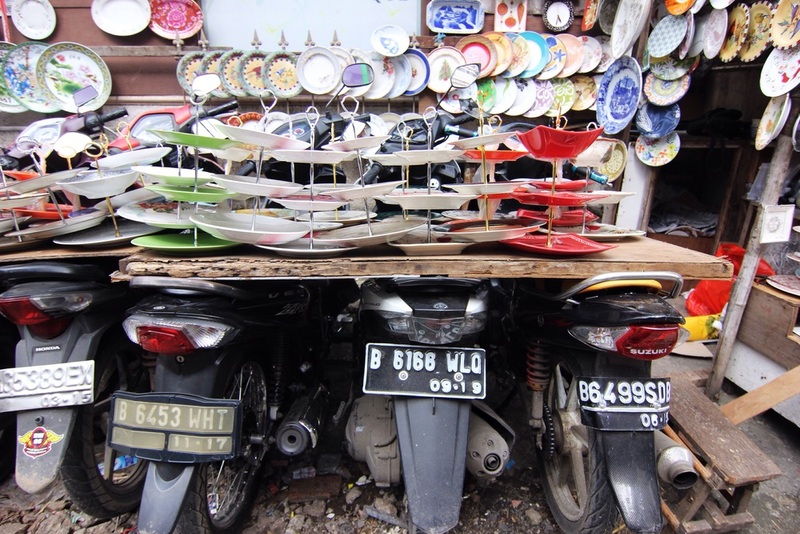 My roommate took me to the local pasar (market) for a much different glimpse of Jakarta than we get at the glitzy shopping centers that we tend to frequent. 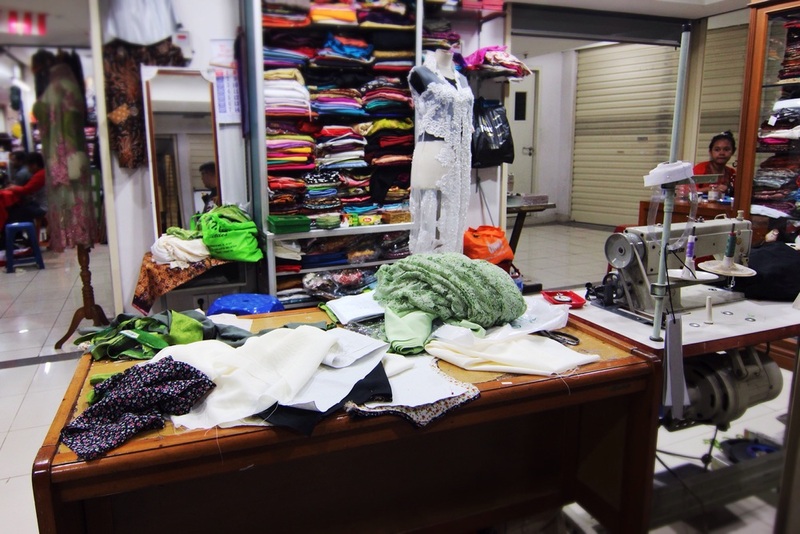 Stuffy and smelly, the multi-level market and surrounding streets are packed full of all kinds of goods - meats, fruits and other types of food, as well as fabric, knockoff shoes and accessories, random house wares, etc. 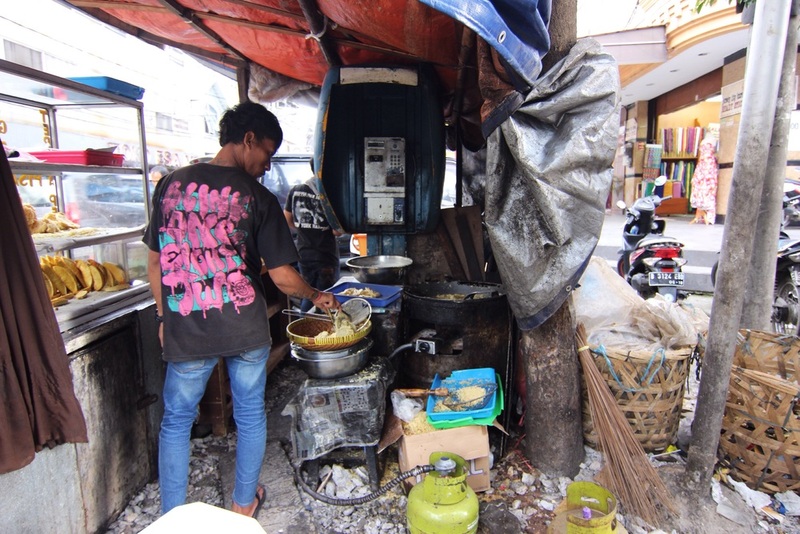 I picked up a couple batik items for souvenirs, but left the street food alone despite the enticing aroma; a previous eating experience had already depleted most of my Immodium supply. 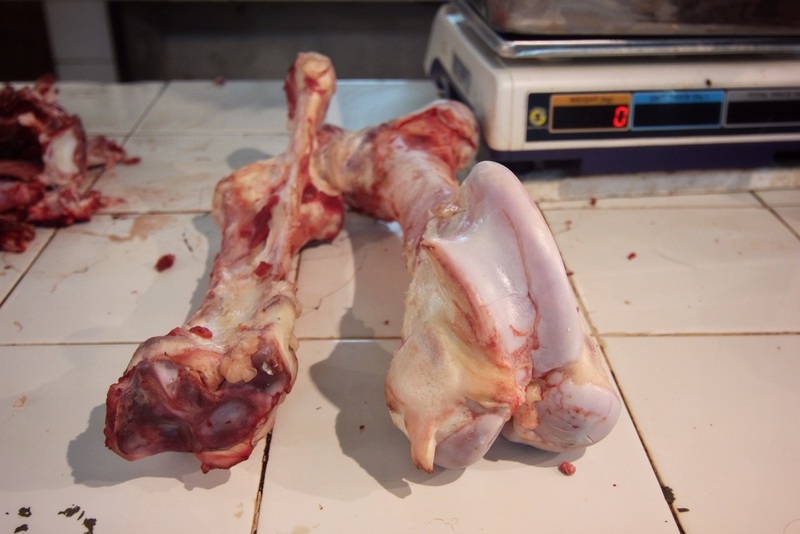 Unidentified bones in the meat market. Makeshift kitchen. I like the dilapidated payphone. 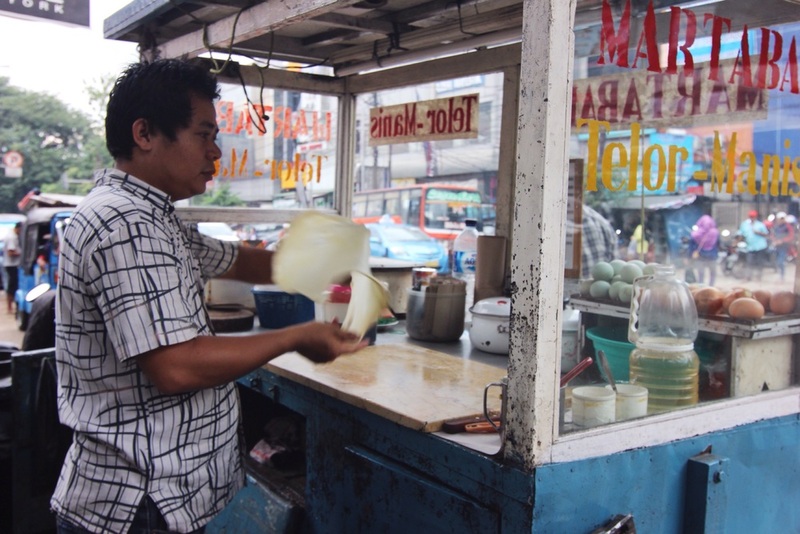 Martabak - an omelette fried in a thin pancake.